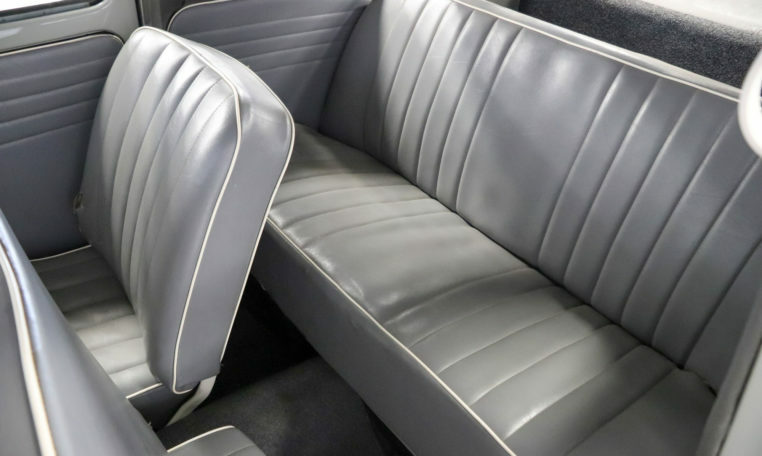 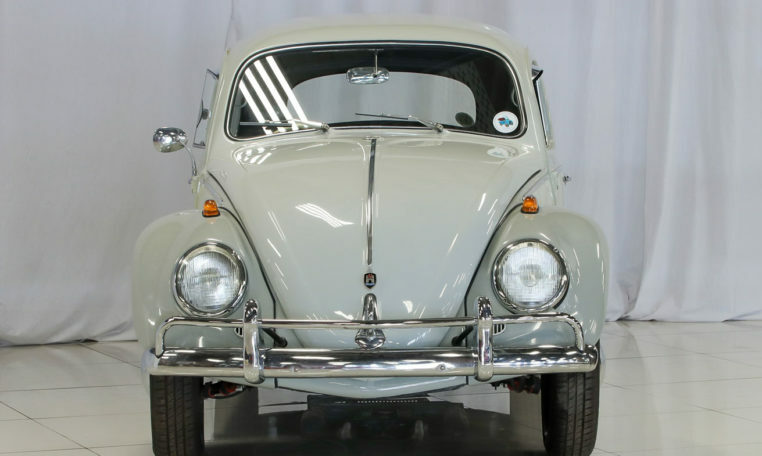 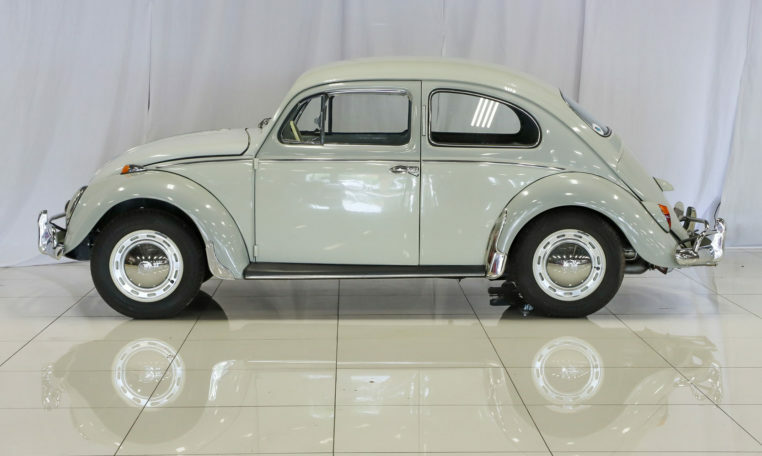 This 1958 Volkswagen Type 1 is finished in a subtle 2-tone white & grey paint with light grey vinyl upholstery. 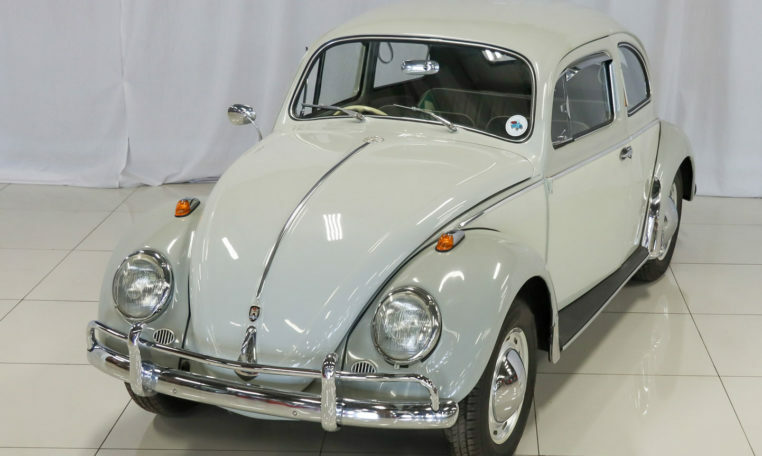 The Beetle officially the Volkswagen type 1, informally the “Käfer” the German word for beetle or the Bug. 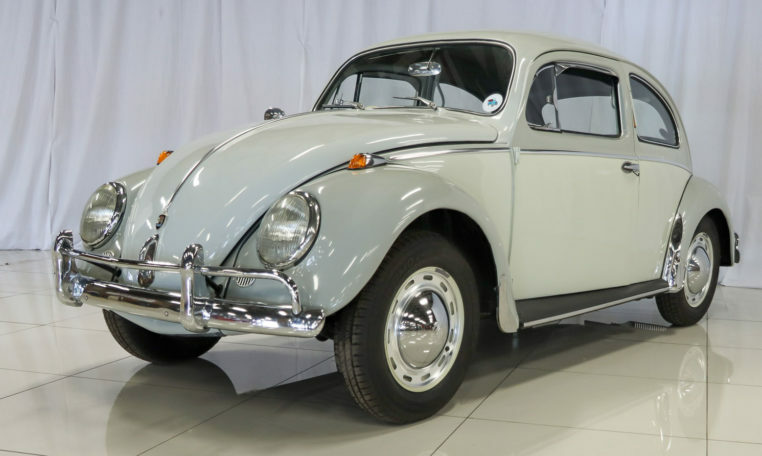 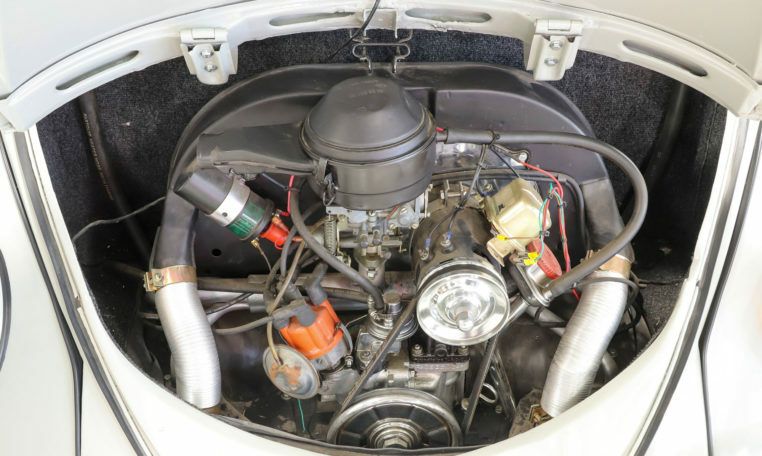 This Volkswagen Beetle has undergone a complete nut and bolt restoration including a mechanical overhaul. 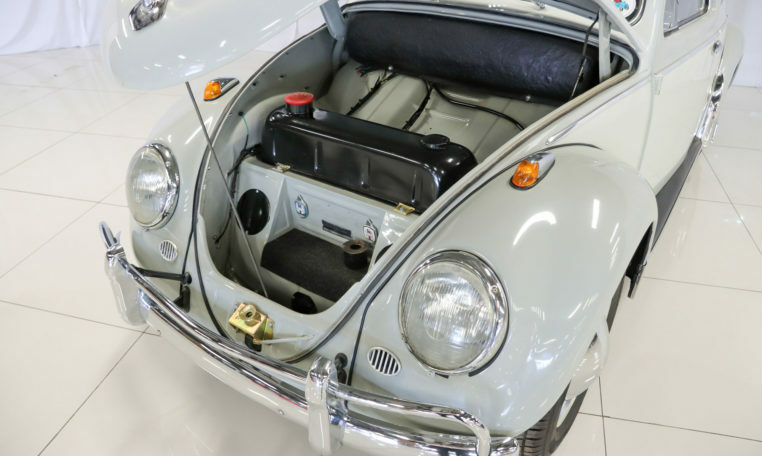 In 1954, Volkswagen added 2 mm to the cylinder bore, increasing it from 1,131 (1100) cc to 1,192 (1200) cc. 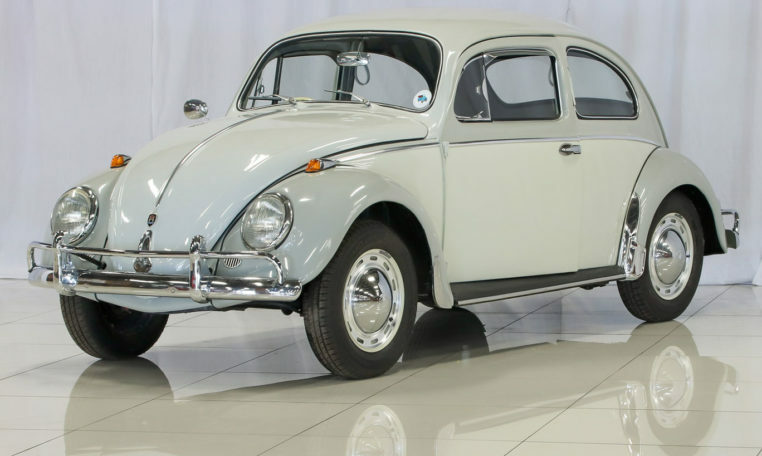 Later models were designated Volkswagen 1200, 1300, and finally the 1500, indicating engine displacement. 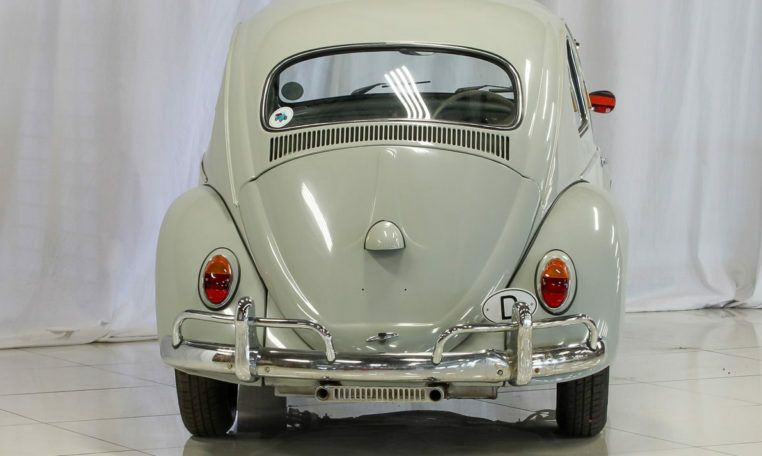 In 1955, the separate brake lights were discontinued and were combined into a new larger taillight housing. 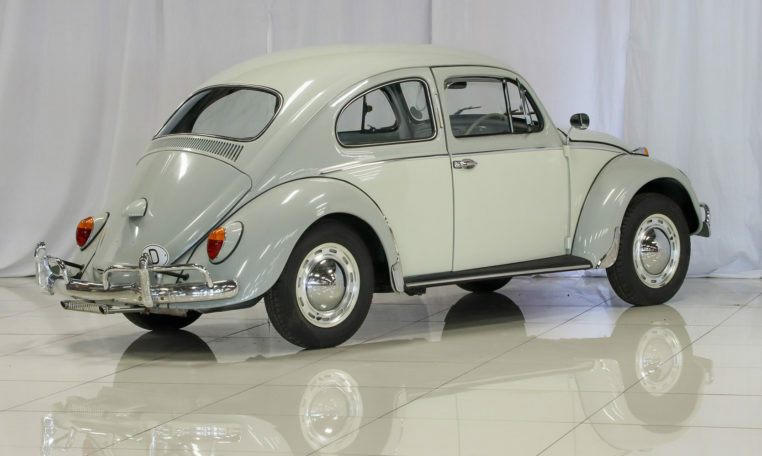 For 1956, the Beetle received what would become one of its distinctive features, a set of twin chrome tailpipes. 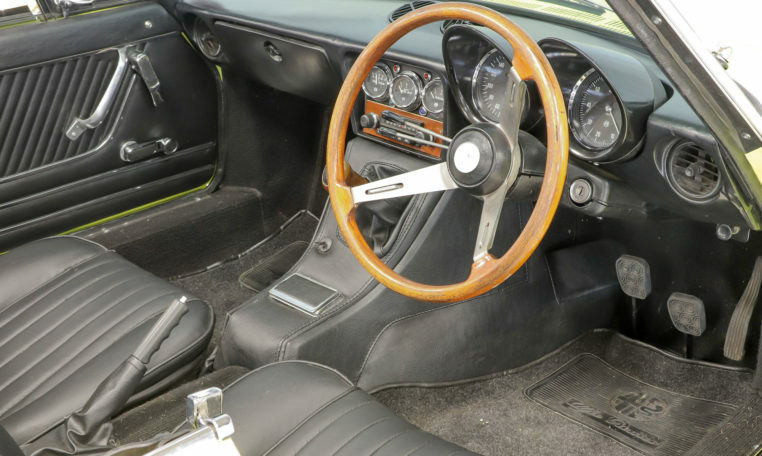 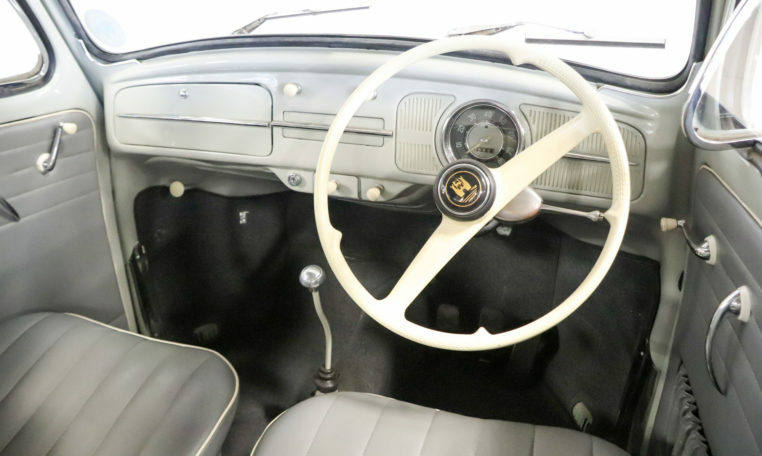 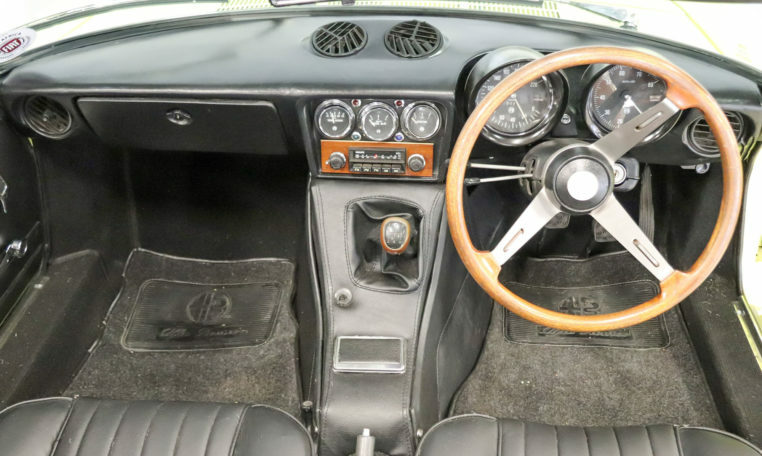 The 1958 received a revised instrument panel and a larger rectangular rear window replacing the oval design.